I recently visited the wonderful Wellcome Collection in London and was captivated by a display on the tobacco industry. It was part of an exhibition called “How Graphic Design Can Save Your Life” which used examples and analysis to show how images and design could change the world. It got me thinking; surely every profession can be seen in the same way. So how can journalism save your life? Here’s my attempt; an analysis and discussion of one of the world’s biggest public health hazards. As a son who’s seen his father battle tobacco addiction for most of his life I’ve always been a vehement anti-smoker. The scale, exploitation and shamelessness of the industry never fails to shock me. So it seems a fitting place to focus. 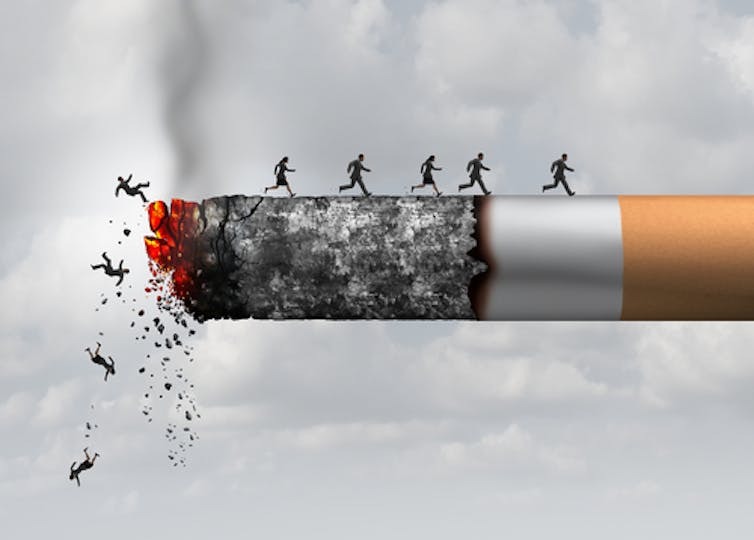 In this post I hope to summarise the damage already done by the tobacco industry; analyse the current situation including the rise of e-cigarettes; and look to the future to hypothesise what lies in store. Tobacco has been smoked for centuries, but consumption really kicked off when the cigarette-making machine was developed in the 1880s. This lead to a massive increase in sales and a similar boom in popularity. For almost a century the tobacco industry rode on a wave of prestige before the first health doubts began to emerge. It wasn’t until the mid 1950s that scientific studies began consistently linking smoking to lung cancer; it took another 20 years before health warnings were included on packaging; and it was only a decade ago that the UK banned smoking in enclosed public spaces! Just how popular have cigarettes become in 130 years? Enough for every person alive to smoke 865 a year. In fact even while rates of smoking have decreased in developed countries, to this day cigarette consumption continues to rise globally. A key reason for the success of tobacco comes from persistent and persuasive advertising. There have been few marketing campaigns in history more manipulative or sinister than the tobacco industry. I say sinister because one of its core tactics is to consistently target young people, who are both more vulnerable and more at risk of harm. Approximately one-third of youth experimentation into tobacco occurs as a result of exposure to tobacco advertising, promotion and sponsorship. In primary school smoking is seen in a negative light; however come secondary school it transitions into something “cool” and “rebellious”. The tobacco industry has relentlessly preyed on this mentality, as parodied wonderfully in the anti-smoking cartoon “Dying for a Smoke”. Targeting the youth market has created a self-perpetuating customer base for the tobacco industry; multiple studies have shown that people are more likely to become smokers if their parents were. All this might be perfectly acceptable in a capitalist society. Except for the fact that smoking kills. It kills a lot. In fact the World Health Organisation ranks tobacco as the leading cause of preventable death in the world, killing more than 7 million people every year. At least 80% of lung cancer deaths can be attributed to smoking and lung cancer kills approximately 1.4 million people globally every year. Similarly 80% of all deaths from chronic obstructive pulmonary disease (COPD) are caused by smoking, which kills 3.2 million. 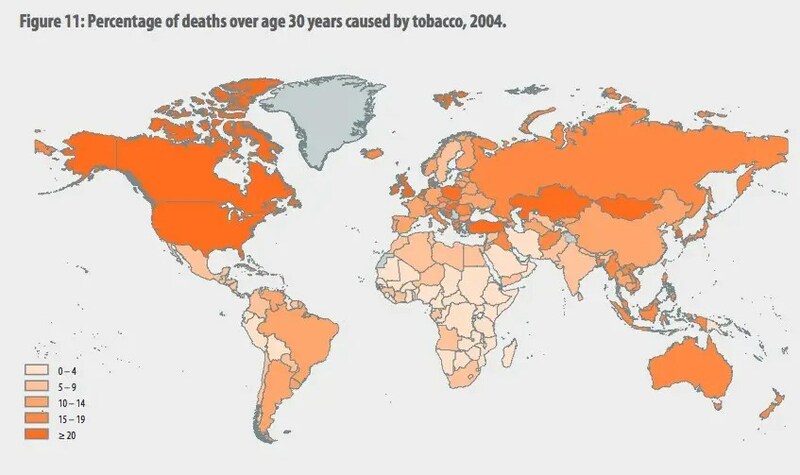 Looking at the WHO’s map of deaths caused by tobacco, it’s one of the leading causes of death for people aged over 30. This leaves the tobacco industry where it is today; with an exponentially growing market, a legacy of lethal addiction and billions of dollars in the bank. But at least in some regards, the smoke seems to be clearing. These simple and unsurprising words were broadcast across America this week. What’s incredible is that they were authorised by the tobacco companies themselves. For the first time Big Tobacco has openly admitted the dangers of smoking… but only because their hands were forced by the courts, following 11 years of legal appeals. For decades the industry has routinely denied many of the health risks around smoking. This denial has allowed them to advertise their products in ways that obscure or downplay health warnings. At least until recently. 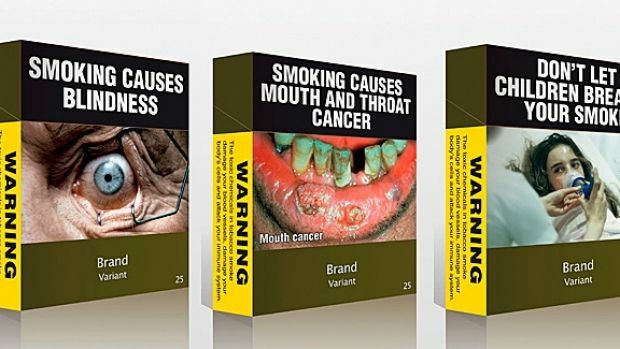 In 2012 Australia became the first country in the world to implement laws requiring plain (standardised) packaging of tobacco products, coupled with graphic health warnings. In the following years, several national studies showed a marked decrease in the prevalence and popularity of smoking around the country. Since then, France, Ireland and the United Kingdom have passed their own plain packaging laws, with many other countries expected to follow suit. This more than anything has threatened the coffers of Big Tobacco, with standardised packaging threatening to put an end to the industry’s pricing strategy. Put that in your pipe and smoke it! Stripping away the industry’s ability to use fancy packaging combined with graphic health warnings finally seems to be waking potential consumers up to the dangers of smoking. But this decade has also introduced a new element to the saga; one that could define the 21st Century as much as tobacco did the 20th. E-cigarettes. Explained simply, E-cigarettes are battery operated devices that heat nicotine and other chemicals into a vapour, thus bypassing tobacco. They first hit the market in 2004 and have swiftly become a major player in the business. Estimations put the number of e-cigarette users worldwide at around 20 million. Like the cigarettes of old, scientific research has not yet caught up with the trend and medical opinions vary. On the whole the consensus seems to be that “vaping” is healthier than smoking, but it’s certainly not good for you. On the plus side, studies in the US and the UK suggest that e-cigarettes have reduced overall tobacco usage. However e-cigarettes remain worrying for several reasons. Firstly, e-cigarette ads today closely mirror cigarette ads of the past; a dangerous trend given how successful and manipulative those campaigns were. This strategy also seems to have carried over into advertising targeted at young people. Disturbingly some studies have found that young people who vape are nearly four times more likely to start smoking cigarettes than their non-vaping peers. And if that’s not worrying enough, here’s something that is. All major tobacco companies have e-cigarette products on the market or under development. A smoking gun if you ask me. So while tobacco may be suffering some losses, Big Tobacco looks like its here to stay. With that in mind, what happens now? Are the advances of the present enough to turn the tide and finally begin to decrease tobacco consumption? Some think that evidence-based intervention and truthful advertising won’t be enough to eliminate tobacco. Others including Phillip Morris, the world’s second largest tobacco company, see the future as being tobacco free. Personally I think tobacco – for all its vices – is a symptom rather than the problem. Any addictive substance, marketed cunningly and exploited ruthlessly will lead us down the same path. The responsibility therefore rests with us, the consumers, the researchers, the lobbyists to understand the risks, to educate our family and friends and to take action in whatever way we can. If at least one person uses something they’ve learned from this article to make a change, I will have achieved my purpose. This is my way of saving a life.